Ford recently shared its intentions to expand works of its luxury brand Lincoln and simultaneously the sales volume. Result of this statement very soon got mirrored in China with unveil of Lincoln MKZ and MKC. 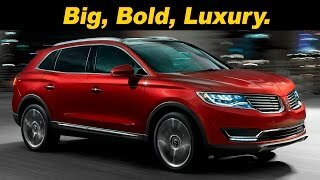 The determined Lincoln doesn’t seem to now take a halt and statement gets the origin due to the recently released Lincoln MKX 2016.Around a year back at the 2014 Beijing Auto Show, company unveiled the MKX Concept 2014. What now is to be seen is, if they have successfully brought the concept after production. Let’s check its review compiled in these few scrolls describing all necessary information required. 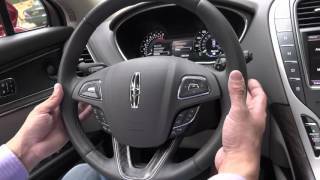 The interior of Lincoln MKX 2016 is calm, comfortable and serene. The interior compiled together includes the work of Aluminum, wood or fine quality leather. Front passengers get power seats with 22 direction adjustments and the comfort gets audible with clear and audible 13 speaker Revel audio system. 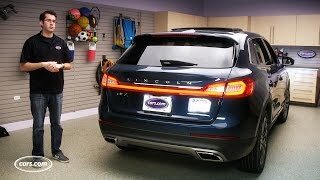 The Lincoln MKX includes 360 degree camera system, pre-collision assist and cross-traffic alert making the safety in priority list of their features. With this we just want to say, no need of being bothered about the airbags fitted inside if precaution features are inside. The exterior of Lincoln MKX 2016 portrays a corporate look with its elegant features like, split-wing grille and redesigned headlamps. But the elegance and corporate look holds a sportier side as well. The aggression falls out through the muscular rear fenders, elongated taillights right down below the sloping roof the larger exhaust tips. These all together adds a little of aggression to the elegant Lincoln MKX. So summarizing this altogether we can say, an elegant muscular design is what the MKX 2016 comes with. 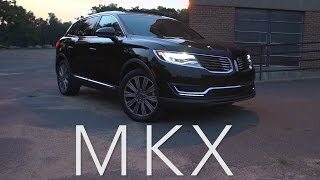 Though price of Lincoln MKX 2016 is not yet revealed but it is expected to be approximately $40,000.